I'm slowly but surely getting the wonky houses done - I finished two more today so only five to go ! I'm loving doing them but somehow my inspiration has faded a bit ! 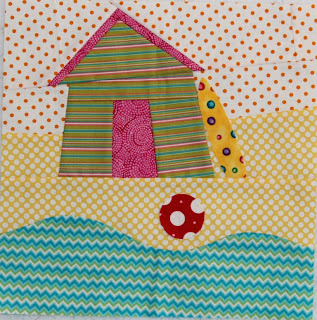 I did a beach house last weekend and wanted to have wavy water but couldn't work out how to sew it - but last night I happened to see a link for a tutorial on improv and curved piecing on annabella's blog (by diane at from blank pages) - amazing timing ! 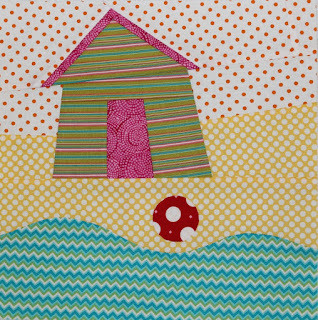 - so armed with my new knowledge I did another beach house block and it has a wavy water - yay ! thanks so much annabella and diane. If you're interested in improv and curved piecing diane does a great tutorial - I had issues with angles in my previous blocks but these two blocks don't have half as many seams as the others thanks to diane and her wonderful tutorial. 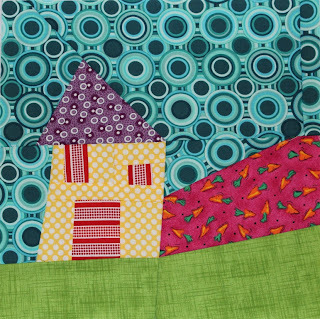 Saw those on Flickr - and love them - wondering which of your lovely blocks will come my way! Exciting! Keep it up you are doing so well! If you did an inspiration mosaic is it worth a revisit? Otherwise carry on the beachhouse theme - will increase my chance of getting one!! Hehe! Oh I`m so behind in my blog reading and so happy to see this! 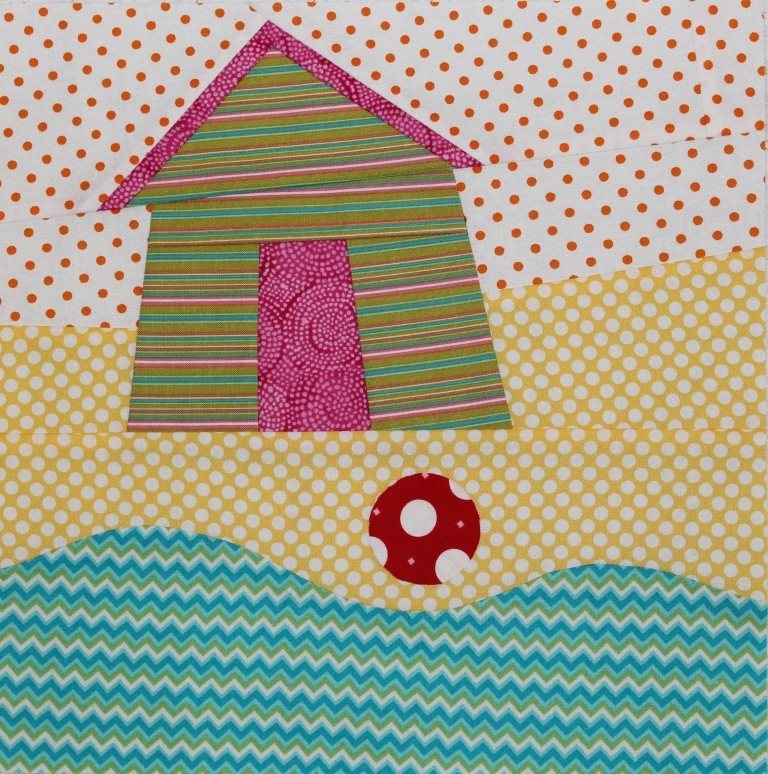 Yea - you are doing curved piecing and isn`t Di`s tutorial great?? 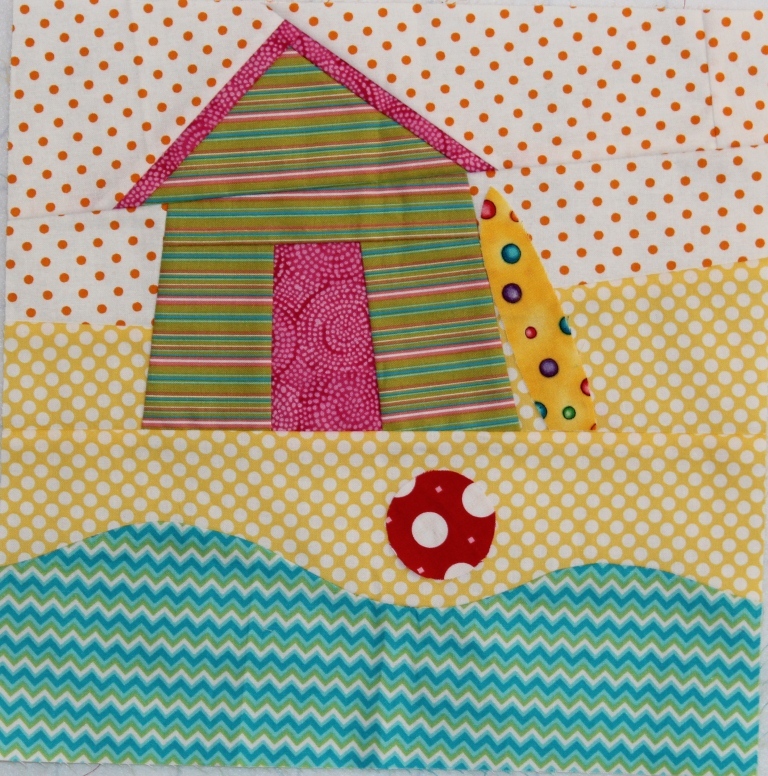 Love your wonky beach house! Cute as a bunny's nose. Love both of these, and I don't even like house blocks! Good job!